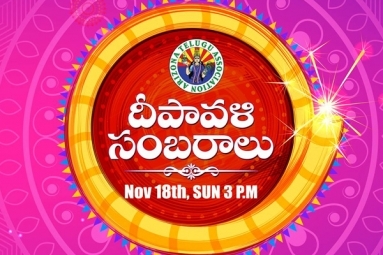 Its time to light up the fun at AZTA's Deepavali Sambaralu 2018!!! Join us for a night of songs, dances, stage dramas, and fashion shows by our very own talented performers in the valley. That's not all! Shop for Indian dresses, enjoy delicious food, and make it a true Diwali with fireworks! Please contact us for any further inquiries (contact information on flier). 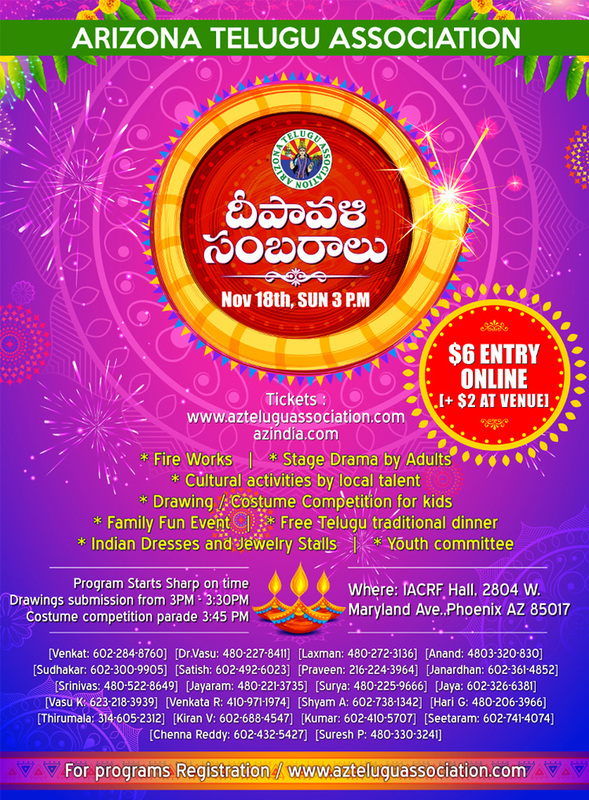 We look forward to seeing you at the AZTA Deepavali Sambaralu!